All safe routes between Halley Station and sites often traveled to are marked out with flag lines or drum lines. When traveling, one must always ensure they can see a minimum of two flags in the direction they are going. If the visibility drops to less than that distance, the traveling party should stop and wait until the conditions improve. 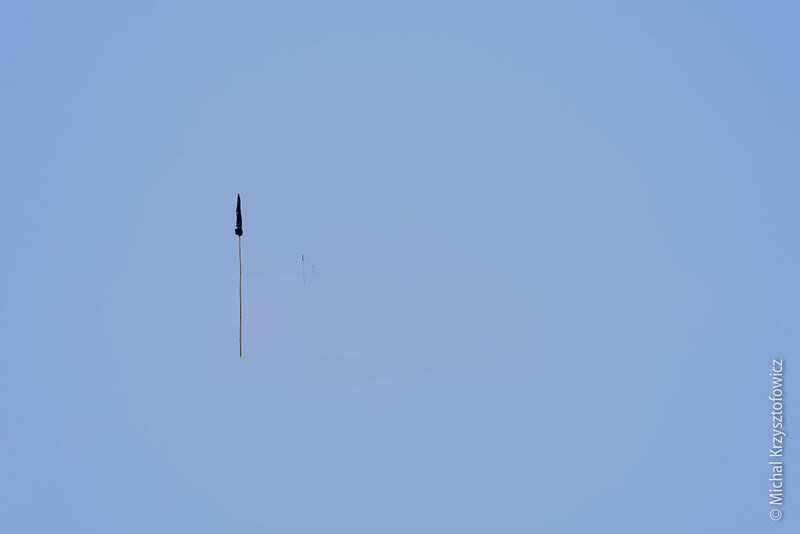 A total white out can take place even with relatively good visibility, if there is thick cloud in the sky and no contrast. In such conditions moving is quite difficult, regardless of wheter on foot, skis or in a vehicle, as the terrain is completely invisible, making it impossible to avoid obstacles.